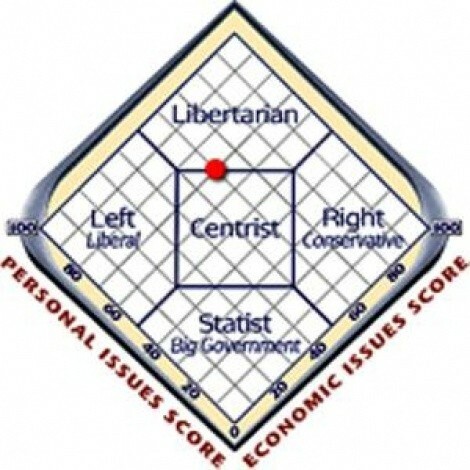 BB: On your Website, you are described as a "political centrist on the Nolan chart." Please give an example of two extreme political positions taken by members of the 111th Congress, and then locate yourself between the two extremes. JP: When I say that I’m a centrist, it doesn’t necessarily mean that I stand in the middle of an issue. It means that I am free to choose ideas from all political philosophies based on their own merit without having to compromise my beliefs for the sake of being a party loyalist. Let there be no doubt that I eschew extremism in all its forms and my mind is open to compromise for the sake of the greater good -- but that doesn’t mean that I don’t take a definitive stand on the issues. To try and answer your question as it relates to the 111th Congress, the best example of extreme political positions that I can think of relate to health-care reform in which the left wanted reform and the right wanted to maintain the status quo. I, for one, see a great deal of need for practical reform -- as I stated in my response to the previous question -- but the solutions I would like to have seen implemented were largely ignored by both major political parties. The reason for this is that both sides were and are being manipulated by special interests. Most notably, the health-care industry which spent millions of dollars in campaign contributions on both sides of the aisle. They basically bribed Republicans to kill the legislation and bribed Democrats to make it work in their favor. They were playing both sides against the middle -- but you would not have found me in that middle space because my preferred solutions for healthcare reform were largely ignored. With civil rights and much -- but not all -- of the free market, I’m somewhat libertarian. Where gun rights and real fiscal responsibility are concerned, I’m fairly conservative. When it comes to taxation, certain industry regulations and the environment, I’m more progressive. Were I in a position to reform health care, I would not have maintained the status quo, nor would I have advocated a government-run system like the VA, nor a single-payer system like Medicare for all, nor a public option. I would have done everything I could to eliminate the profit motive from health care altogether. I would have backed legislation that would have required insurance companies and hospitals to reorganize as non-profits, mutual companies or co-operatives; eliminate anti-trust exemptions so that people can choose between a wider range of insurance options; enable Medicare to negotiate lower drug prices with pharmaceutical companies and allow the government, through the NIH, to fund pharmaceutical research so that new drugs to treat diseases can be released directly into the market as generics, offering some stiff competition against big pharma to price their drugs more competitively. None of these options can be found in the final health-care legislation. Where other issues are concerned, I find myself advocating a number of positions at all points in the political spectrum. With civil rights and much -- but not all -- of the free market, I’m somewhat libertarian. Where gun rights and real fiscal responsibility are concerned, I’m fairly conservative *. When it comes to taxation, certain industry regulations and the environment, I’m more progressive. Bottom line, I’m not foolish enough or naive enough to believe that any one political philosophy has all the right answers, but I do believe that each philosophy has something positive to contribute. So, I say, let’s pick the ones from each that work best and not fool ourselves into thinking that there is only one way of doing things that will work for everyone. * Do not confuse conservatism with neoconservatism which is where most modern Republicans stand on the issues. Neoconservatism is not conservatism at all. It’s largely authoritarian and hypocritical. Next: In Part 5, Puente discusses potential sleeping arrangements.